Before visiting Korea, it can be helpful to know a bit about Korean supermarkets or convenience stores. These stores sell items for daily needs and basic products, as well as popular souvenir food items like Korean laver and snacks. The three most representative supermarket brands in Korea are Lotte Mart, E-mart and Home Plus. All of these large-scale retail businesses, located throughout the nation, house a diverse range of general items and luxury goods, where customers can find almost everything they need. The stores have different operating schedules depending on their location, which can all be found on their website. Typically, most stores in Seoul are closed on the second and fourth Sunday of each month; however, markets in other regions are often closed on the second and fourth Wednesday of each month. As this is not a fixed rule and is subject to change, it is recommended to double check on their website to avoid any inconveniences. 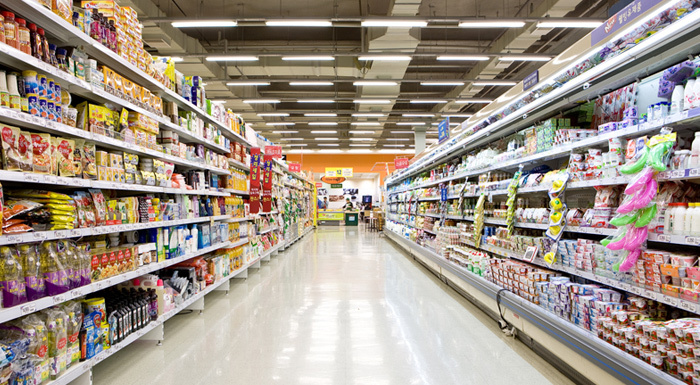 Shopping at these supermarkets will save a significant amount of time and money, as discounts and many promotional events are happening almost every day. Visitors can experience the local shopping culture while browsing for the freshest food ingredients, fashion items, electronic goods and gifts! Convenience stores in Korea are living up to their names as well, because not only are they open on a 24/7 basis, but also provide essential items such as food, medicine, ATMs and package delivery. These stores can be mostly found near subway stations and in residential areas, and the most prevalent are GS25, CU, 7-Eleven, Ministop, and emart 24. Also, many of these stores have monthly events with limited edition items that are largely popular. Some convenience stores even have a service for charging your phone battery, T-Money and pre-paid Cashbee transportation cards. However, please be aware that the T-Money and Cashbee reloading service is only available at locations with "T-Money" or "Cashbee" signs.